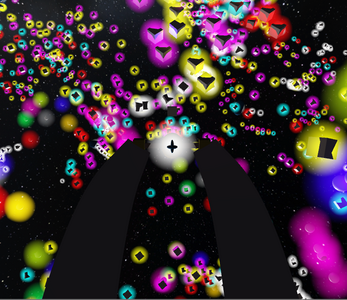 Space Shooter based in Color. You can shoot with key (space), Slow Motion with key (left shift), move with (a,s,d,q,w,e). Collide with capsules to gain points. Collide with sphere to change your color. Collided or shoot cubes of same color to gain points.